After attending Southern Illinois University and service in World War II, Fred Campbell performed as a year around professional athlete from 1946 until 1951. He played basketball in the winter and minor league baseball in the summer. During the 1946-47 season, Campbell played with the Detroit Gems in the National Basketball League. At mid-season, he took over as player-coach of the struggling team, but the Gems won only one of their remaining twenty-eight games. During the 1947-48 season, Campbell was player-coach for the Detroit Vagabond-Kings, a barnstorming team. 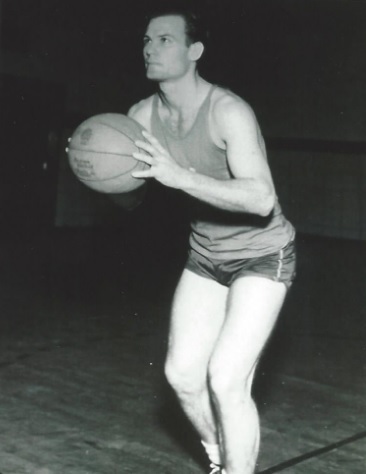 In 1948-49, Campbell returned to the NBL as a member of the Vagabond-Kings, but the team could win only 2 of their first 19 games and dropped out of the league. With Campbell as player-coach, the Vagabond-kings continued to barnstorm until 1953. Fred Gaines Campbell Born: Aug 8, 1920 Died: Dec 3, 2008 Hometown: Herrin, Ill.